In recent years, organizations around the world have been using “influencers” — fitness gurus, beauty bloggers, fashionistas and others — to supercharge your fundraising. Influencers usually endorse products – from lipsticks to cars – by sharing about them on their social media platforms and spread viral conversations about brands online. Pixlee defines social media influencers as those users on social media who have established credibility in a specific industry. A social media influencer has access to a large audience and can persuade others to act on their recommendations by virtue of their authenticity and reach. An influencer may be anyone from a blogger to a celebrity to an online entrepreneur. They have usually specialized and capitalized on a niche to attain widespread credibility. Because of the influencers’ credibility in their field or industry, their followers often feel that their endorsements are particularly authentic and trustworthy. Interestingly, many of today’s social media influencers don’t come from the ranks of celebrities, like it’s been the case for decades before. Instead, everyday people have risen up the ranks of social media to amass hundreds, thousands or even millions of followers. 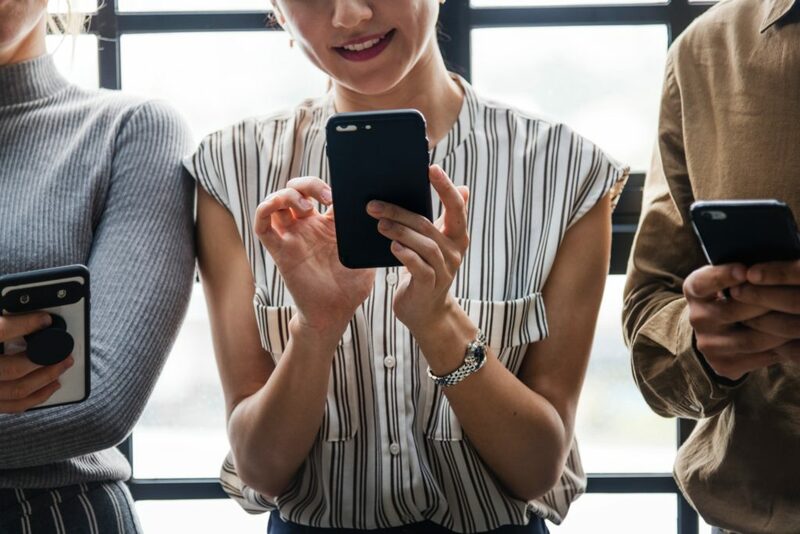 With social media influencers, your nonprofit organization can potentially gain access to target audiences that you might otherwise struggle to reach. If utilized correctly, social media influencers can be a powerful asset for any nonprofit organization large or small. Recent studies show that approximately one-third of consumers throughout the United States and Europe reported that they purchased a product or service because of a post from a social media influencer. 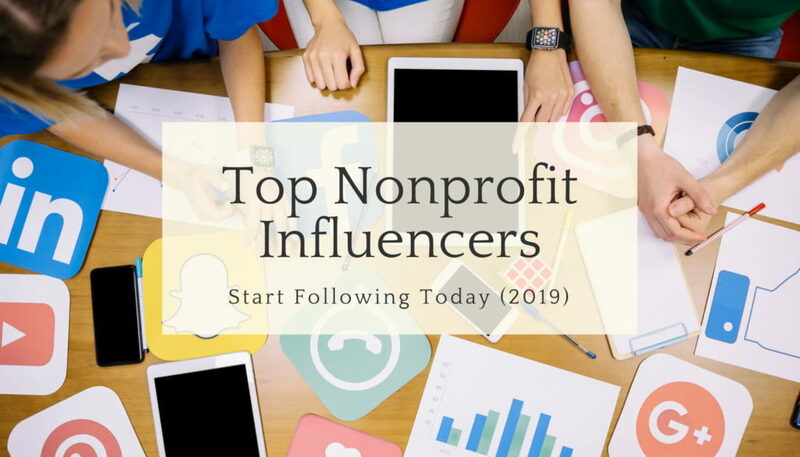 Even if you didn’t want to consider utilizing influencer marketing (through paid advertising) to grow your nonprofit’s audience, raise funds, promote your programs and services, or recruit volunteers and staff members – there’s a lot to learn from following these nonprofit influencers. Being connected to a brilliant community of professionals who are also committed to doing good features tons of benefits. In the nonprofit arena, Twitter reins over other social media networks. It’s a great place for nonprofit professionals to learn, exchange ideas, and cheer each other on. Here is our shortlist of nonprofit influencers to start following today. Note: Nonprofit influencers featured on this list are ranked based on the number of Twitter followers (descending). With over 30 years of experience in the nonprofit sector and three bestselling nonprofit books, Beth is a must-follow. She is also the author of a popular nonprofit blog called Beth’s Blog: How Nonprofits Can Use Social Media where she writes about digital transformation, networks, data, learning, training, facilitation techniques, resilience, nonprofit organizational culture and self-care for nonprofit professionals. Matt is the co-founder of Kiva.org and Branch.co. As CEO, Matt led Kiva’s growth from a pilot project to an established online service with partnerships across the globe and hundreds of millions in dollars loaned to low-income entrepreneurs. Matt was a Skoll Awardee and Ashoka Fellow and was selected to FORTUNE magazine’s “Top 40 under 40” list in 2009. Author of “Simple Acts to Change the World: 500 Ways to Make a Difference,” from Adams Media, an imprint of Simon & Schuster. So far, she has worked with thousands of organizations over 25 years including in nonprofit, B2B, retail, advertising, manufacturing, government, international, and more. Amy also founded a startup nonprofit called Free Tech for Nonprofits in 2017 to help small nonprofits do more of their important work faster through smart technology and communication strategy. As an author, educator, speaker, and founder of the Your Mark on the World Center, Devin has established himself as a champion of social good. Having spoken twice at the United Nations and twice at Johnson & Johnson, among dozens of other engagements, he has a proven track record as a speaker. As a Forbes contributor, with 500 bylines and almost two million unique readers, he has become a recognized name in the social impact arena. John Haydon is one of the most sought-after digital marketing experts for nonprofits and charities. He has helped hundreds of nonprofits realize their best marketing and fundraising results. John is also the author of “Facebook Marketing for Dummies”. Leila Janah is the Founder and CEO of Samasource and LXMI, two companies that go beyond charity to #givework to low-income people around the world using cutting-edge social enterprise models in technology and luxury skincare, respectively. She is the author of the book “Give Work” (Penguin/RandomHouse), which was released in September 2017. Amy Sample Ward co-authored “Social Change Anytime Everywhere: How to Implement Online Multichannel Strategies to Spark Advocacy, Raise Money, and Engage your Community”. She is the CEO of I am the CEO of NTEN; they support nonprofits through convening and training to use tech strategically to meet their missions and community needs. Gail Perry is an international fundraising consultant, keynote speaker, trainer and philanthropy leader. She has more than 30 years of experience in successful major gift and capital campaign fundraising campaigns, helping organizations raise hundreds of millions in gifts. She is a veteran of over 55 capital campaigns from LA to Maine as consultant, coach or staffer – raising over $500 million. Dan has given over 275 talks on philanthropy and innovation in the past few years, including one of the most popular Ted Talks ever, “The Way We Think About Charity is Dead Wrong” which has over 4 million views. The model and methods he created are now employed by dozens of charities and have raised in excess of $1.5 billion more for important causes from pediatric leukemia to AIDS to suicide prevention and many others. Kivi Leroux Miller is the founder and CEO of Nonprofit Marketing Guide, where she helps nonprofit communications professionals learn their jobs and love their jobs through a variety of training and coaching programs. She has personally mentored more than 150 nonprofit communications directors and communications teams as a certified executive coach. Kivi Leroux Miller is a popular keynote, workshop, and webinar presenter, speaking dozens of times each year. She is also the co-founder of Bold & Bright Media. Author of “Matterness: Fearless Leadership for a Social World and The Networked Nonprofit”. She has started and managed organizations with revenues of millions of dollars a year, developed strategies for some of the largest and most influential nonprofit and philanthropic organizations in the world, reworked the cultures and policies of organizations to make them more open and inclusive and less risk-averse and been a pioneer in online activism. Julia Campbell is the author of “Storytelling in the Digital Age: A Guide for Nonprofits”. She’s also a nonprofit consultant and speaker. Based in Boston, Julia is a global authority on digital storytelling, with happy clients spanning the globe from Moscow to San Francisco. She has provided workshops and training to Meals on Wheels America, the Make-A-Wish Foundation, the Boys & Girls Clubs of America, and Facebook. Vu Le (“voo lay”) describes himself as a “writer, speaker, vegan, Pisces, and the Executive Director of Rainier Valley Corps”. Rainier Valley Corps is a nonprofit in Seattle that promotes social justice by developing leaders of color, strengthening organizations led by communities of color, and fostering collaboration between diverse communities. Vu is fresh, honest, unapologetic, and uses humor to bring new perspectives to nonprofit topics. President of the Center for Effective Philanthropy (CEP). Phil is the author of “Giving Done Right: Effective Philanthropy and Making Every Dollar Count”, released in the spring of 2019. He is the co-author of many CEP research reports, a columnist for The Chronicle of Philanthropy, and a frequent blogger for the CEP Blog. Phil is also co-founder of YouthTruth, an initiative of CEP’s designed to harness student perceptions to help educators and funders accelerate improvements in K–12 schools and classrooms. Follow these individual thought leaders and organizations, and also take steps to grow your own influence online. Nonprofit influencers are an untapped opportunity for nonprofits to get their message read and spread. The Georgetown Digital Persuasion Study reports that 65% find out about a cause through their friends and family, while 68% were prompted to donate after engaging with a cause on social media. To capitalize on the opportunity that is nonprofit influencers, cultivate genuine relationships with your influencers. This way, your nonprofit will maximize its chances of reaching a ton of people for your next event or fundraising campaign. Are there any experts or organizations you feel we missed? Let us know by tweeting @Donorbox!